The 8 Oz. Burger Bar is listed as one of the recommended burger places in Seattle. So with the family in town, we headed there to check it out. 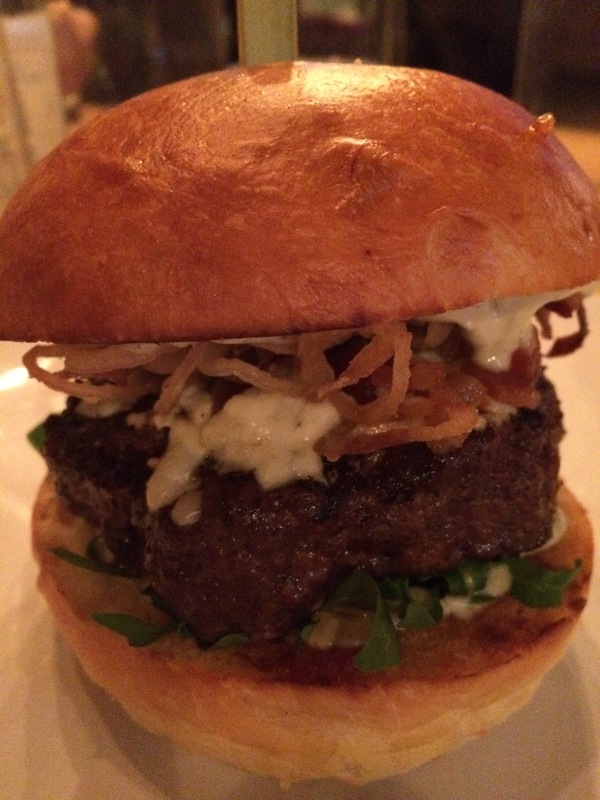 One of my all-time favorite flavors, Bacon Blue Cheese with Onion Straw Burger. The additions are nice, but the burger itself, a little tasteless. And the brioche bun, not exactly great. Crumbly and not a good addition. Two out of three strikes. Here is a Bacon Cheeseburger. 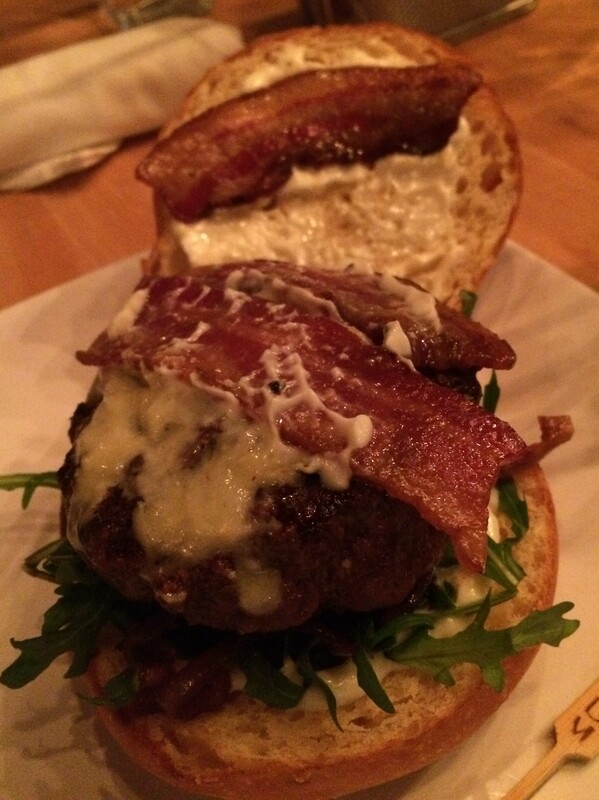 Bacon is ok, but the burger and bun remain the same. 2.5 of 3 strikes. A few more burgers were make your own creation, such as adding Pork Belly, or Pulled Pork, etc. But the fact of the matter is that the burger and bun are big let downs. 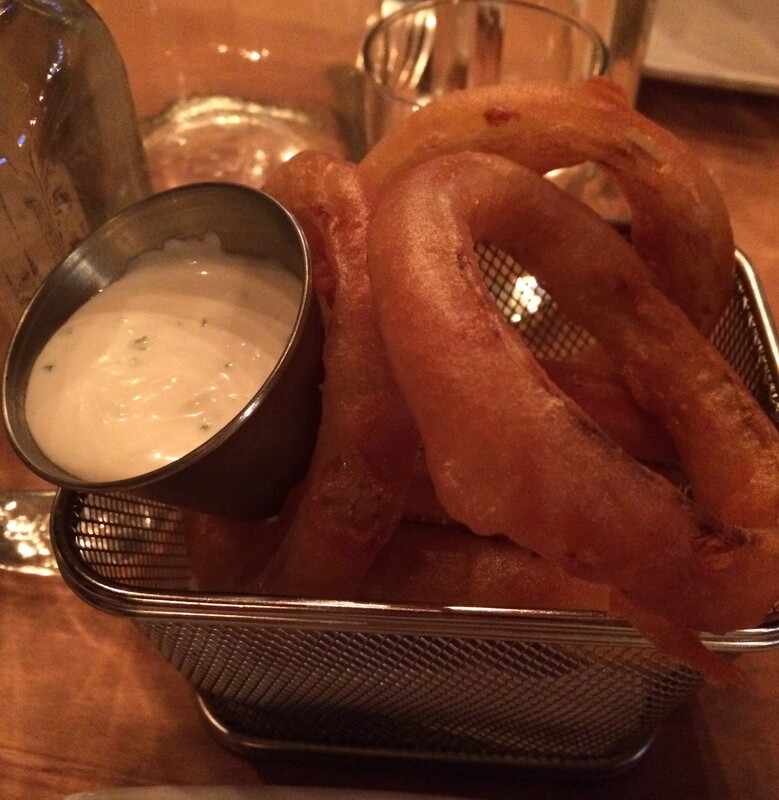 Here are the Onion Rings. These were not bad at all. Crispy on the outside, good onion on the inside. 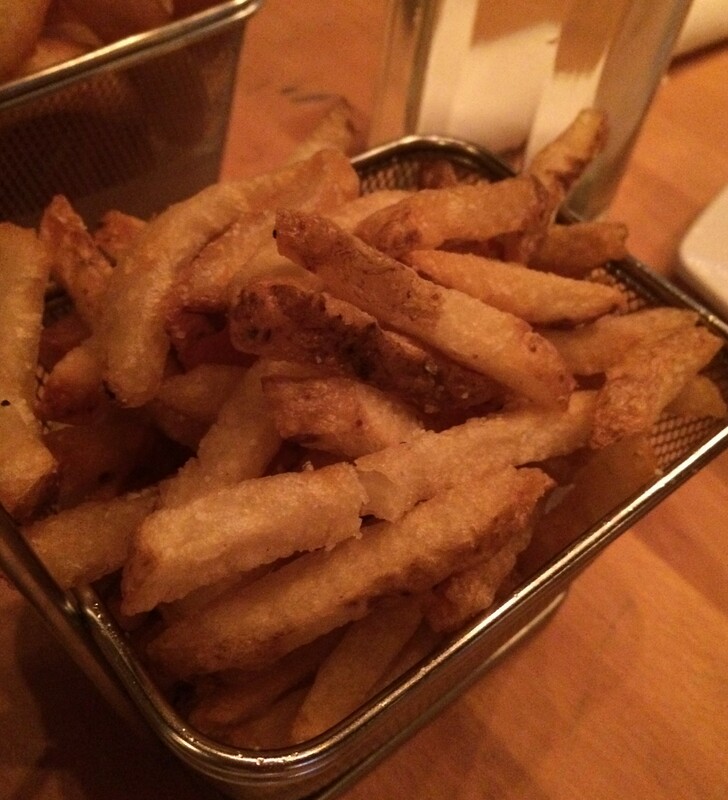 The Fries are ok too. They look double fried. Not bad at all. The condiments are ok. The Onion Rings and Fries are ok. But the biggest components, the burger and the bun, were terrible. For the price, I would take my money to Five Guys. Posted in Burger, SeattleTagged Ballard, Burger, SeattleBookmark the permalink.